Antarctica is at risk from human activities and other forces, and environmental management is needed to protect the planet’s last great wilderness area, says an international team of researchers, including a Texas A&M University oceanographer, in a paper published in the current issue of Science magazine. Mahlon “Chuck” Kennicutt II, professor of oceanography who has conducted research in the area for more than 25 years, says Antarctica faces growing threats from global warming, loss of sea ice and landed ice, increased tourism, over-fishing in the region, pollution and invasive species creeping into the area. One of the longer-term concerns that may present the greatest threat overall is the potential for oil, gas and mineral exploitation on the continent and in the surrounding ocean, the authors note. Kennicutt says the Antarctic Treaty System that governs the continent has worked well since it was established in 1962 and that 50 countries currently adhere to the treaty, but it is under pressure today from global climate changes and the ever-present interest in the area’s natural resources, from fish to krill to oil to gas to minerals. In addition to conducting research in the area, Kennicutt is also president of the Scientific Committee for Antarctic Research (SCAR), formed in 1958 to coordinate international research in the region. More than twice the size of the United States, Antarctica has no cities, no government and no permanent residents. All who go to Antarctica are short-time visitors, whether they are scientists, personnel that support scientists or tourists. Antarctica is the coldest, driest and windiest location on Earth and is the only continent with no time zones. “The Antarctic Treaty has worked well for the past 50 years, but we need to rethink how best to protect the continent from a range of growing of threats,” Kennicutt adds. “The treaty forbids oil or gas development, but it’s possible that could be challenged in the years to come. Until now, energy companies have shown little interest in exploring the southern reaches of our planet because of the harsh conditions, the distance to market and the lack of technologies make it a very expensive commercial proposition. Another problem – melting ice from several areas of Antarctica – is a very real concern today, Kennicutt adds. “A report in the news last week shows that sea-level rise on the east coast of the U.S. is occurring much faster than predicted,” he notes. He adds that the first explorers to Antarctica more than 100 years ago would be surprised to see how things have changed in the region. 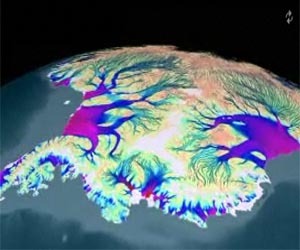 For instance, it has been proven there are more than 300 sub-glacial lakes in Antarctica, some of them as big as the Great Lakes, and the huge ice sheets in the area flow like rivers to the ocean. He adds that growing tourism in the area and numerous scientific expeditions suggest that the prospect of permanent human settlements is not out of the question. “All of these concerns pose serious challenges to conservation and protection efforts in Antarctica,” Kennicutt notes.